Let’s celebrate with these birthday books for little learners. 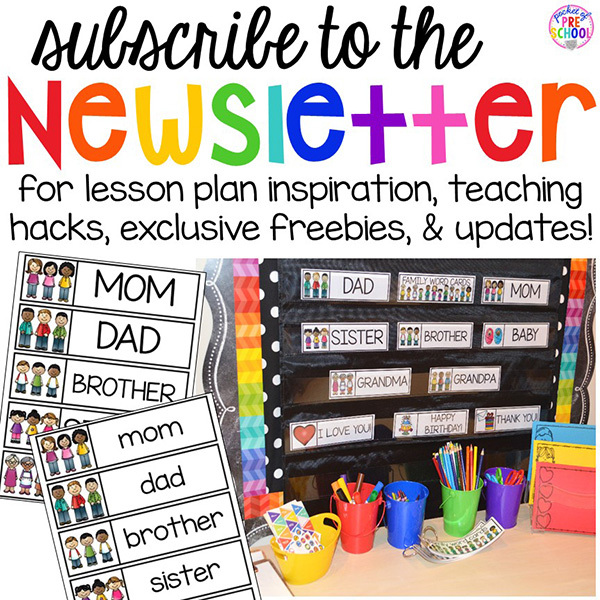 Having a birthday is a BIG deal so make it a theme in your classroom! With the help of some of your favorite characters, students can learn about all of the joys a birthday can bring. So let’s get started by blowing up some balloons, baking a cake (and maybe even some cookies), and unwrapping those presents! This post contains Amazon affiliate links. With the help of rabbit and a sleepover with his friends, kids learn about the logical order of events. What did rabbit’s friends do first, second, and last? You’ll have to read the story to find out! My students read this one over and over! What’s the best part of a birthday present you ask? Well, it’s the box of course! It’s the five little monkeys mom’s birthday! To celebrate, they want to bake their mom a cake. Will they be able to do it before their mom wakes up for her big day? Don’t forget to pick up the original silly story, Five Little Monkeys Jumping on the Bed. From the classic series, If You Give a Pig a Pancake, comes another adorable tale about what happens when you throw a pig a party. Help Llama and his mama celebrate his birthday with a reusable sticker book! The perfect addition to any of the Llama Llama Kid’s Books. Rhyming text about birthday cake makes this book an all-time favorite amongst students. This story celebrates a family by accepting and loving every member, no matter who they may be. It’s grandma’s birthday and that can only mean one thing… a huge cake! But here’s the catch, think about what always comes along with baking? A mess right along with it! This hilarious book is a must-have for every birthday. Have your students solve a mystery while reading this fun book about finding the missing cupcakes. When a plain vanilla cupcake gets discouraged, he finds a little bit of help from a birthday candle! Have you ever thrown a birthday party for a stuffed animal? It can be so much fun! Even though the birthday cake gets ruined, Otto’s birthday is still full of fun. Making a sweet treat to celebrate a birthday is always a great tradition! In this book, the local cookie baker shows kids how he makes the perfect cookie. Just the best! One of my all time favorite books! An entire construction crew of little people builds a huge cake! This book gives students a creative twist on baking a birthday cake. This non-fiction book is full of everything that has to do with birthday cakes…. YUM! Get creative with all of those empty birthday present boxes and make a spaceship or race car! Now that you have an amazing book list you can start planning your other centers (and dramatic play too). Go check out my Birthday Math and Literacy Centers pack and the Birthday Party Dramatic Play pack. Now you have everything you need for your birthday party theme! Love these birthday books? 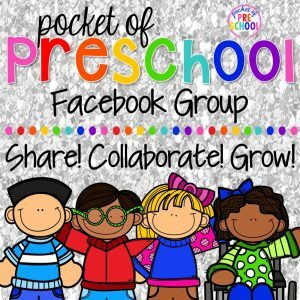 Pin it now! 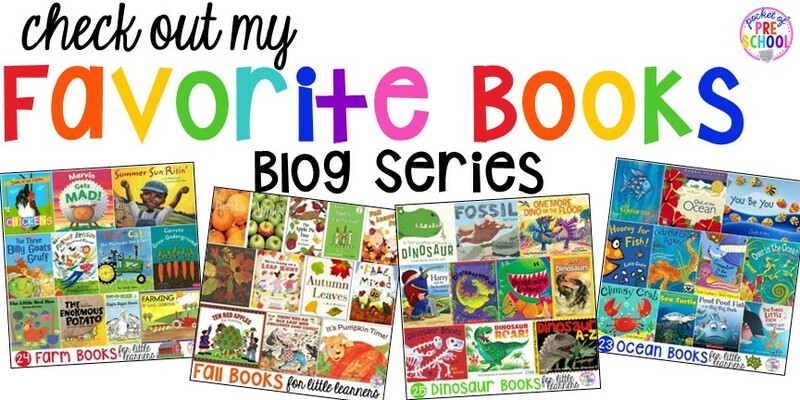 Want more to check out more of my favorite books for little learners? Check out my Book List Blog Series with over 33 different themed book lists (and growing)! If there is a book list for a theme you need just let us know so we can create it for you.